Psy reveals why he joined YG Entertainment. 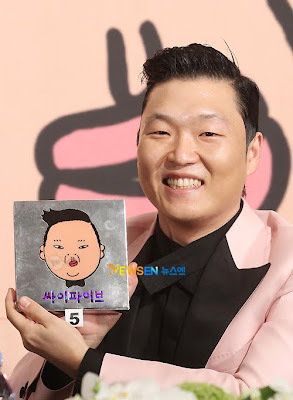 Psy on the 18th held a "5 Psy" Press Conference for the release of his 5th full album. He said, "I wanted to do well and the reason I joined hands with President Yang Hyun Suk was because I needed a guardian, YG Entertainment helped me". After his military service, He was on a year hiatus, "To be honest, I was burdened and scared to compete with the new artists. I have been writing good songs and I wanted a successful comeback, just like DJ DOC, he had a lot of confidence and had a successful comeback". It has been 4 years since he was last active in the music industry, "I have been making songs and it's about my experience, I am at peace and doing well right now. I found inspiration from my experience, from the happy ones to the unfortunate ones." Also, he continued, "This album has been in production for 4 years, For me, this album is very unique and has a lot of meaning." Meanwhile, His 5th full album will be released on the 20th of October, And the title track "Right Now" mv teaser was revealed today. On the 11th of October he released "In My Eyes" which did well and reached the top 10 in charts showing a good feedback to his comeback also on the 14th he released "Thank You".